We have some great nuggets of information and goodies for you below. We hope you find something you like about us. Mod cabinetry is making accessible to everyone professional kitchen design services and healthy home cabinetry that is both affordable and built for a lifetime. Mod cabinetry is innovating how people buy cabinetry. With our affordable online design services, online client collaboration portal, and easy to understand modular catalog we’ve made it easy to get modern non-toxic cabinets that are affordable and built for a lifetime. Thanks for your interest in Mod Cabinetry! We have a few guidelines for using our brand resources. Please take a moment to familiarize yourself with them. 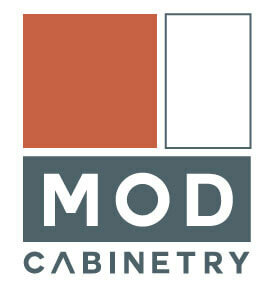 Use these images only when you write about Mod Cabinetry. Attribute Mod Cabinetry for the image. Don’t display these graphics in a way that implies a relationship, affiliation, or endorsement by Mod Cabinetry of your product, business, or service name.